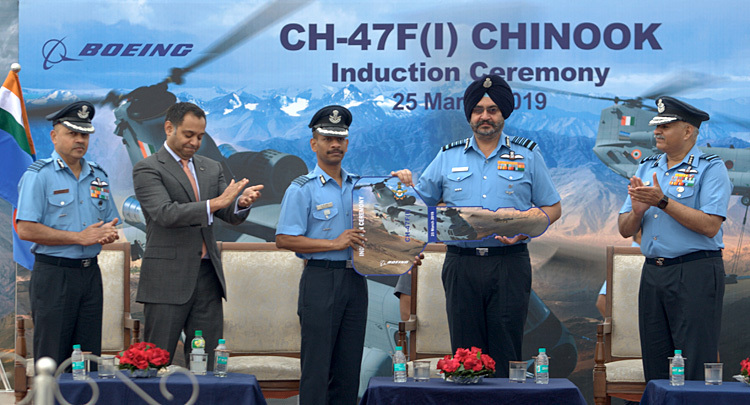 The Chinook helicopters will be a game changer for the Indian Air Force (IAF) the way the Rafale is going to be in the fighter fleet, an elated Chief of Air Staff Air Chief Marshal BS Dhanoa said at a ceremony held in Chandigarh on March 25 to induct the first lot of the iconic tandem rotor American helicopters. 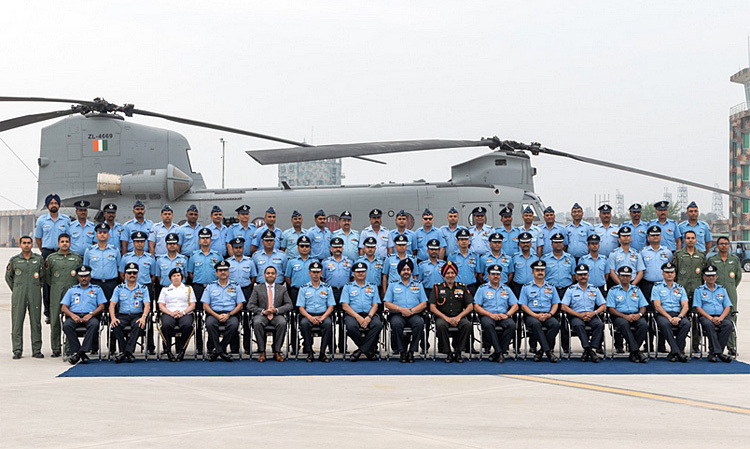 The first four of the 15 Boeing Chinook CH-47F (I)s contracted for an approximate $1.2 billion (8,000 Crore) in 2015 were inducted into the IAF’s 126 Helicopter Unit, nicknamed the ‘Featherweights’. The induction of the Chinooks is a significant indication in that India’s military modernisation plan to beef up its ability to fight conflicts in mountainous battlefields is beginning to fall into place. It’s a big boost in airlift capability along the disputed boundaries with China and Pakistan. The Chinook can carry 20 tons of loads at heights of up to 20,000 feet to flashpoints in the Himalayas. Twenty-two missile-firing Apache attack helicopters which were contracted along with the Chinooks in a $3 billion (2065.7 Crore) order, will be veritable tanks in the air to support to troops on the ground. Induction of the Apaches is slated for later this year. The process for inducting the first lot of 145 M777 ultra-light howitzers - which can be slung under the Chinook to be carried to distant mountainous posts - for firepower support to troop formations has also begun. So too has the raising of a Mountain Strike Corps, an attack formation. There is simultaneous enhancement of missile firepower. The purchase of the Rafale fighters also marks the commencement of the process to give more teeth to India’s lethal airpower. The recent addition of the C-17 Globemaster and C-130 Hercules to the fixed wing transport fleet marks a significant upgrade in airlift capability. 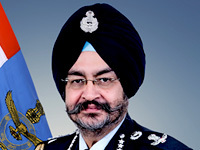 In an exclusive interview to SP Guide Publications last month, Air Chief Marshal Dhanoa had termed the helicopter inductions as “one of the biggest capability upgrade”. “The induction of the Apache and Chinook helicopters this year will be a quantum leap for the IAF’s capability to project force and provide heli-lift supplies. Going by the capabilities that these platforms afford and inductions in the recent past, this may be termed as one of the biggest capability upgrade. 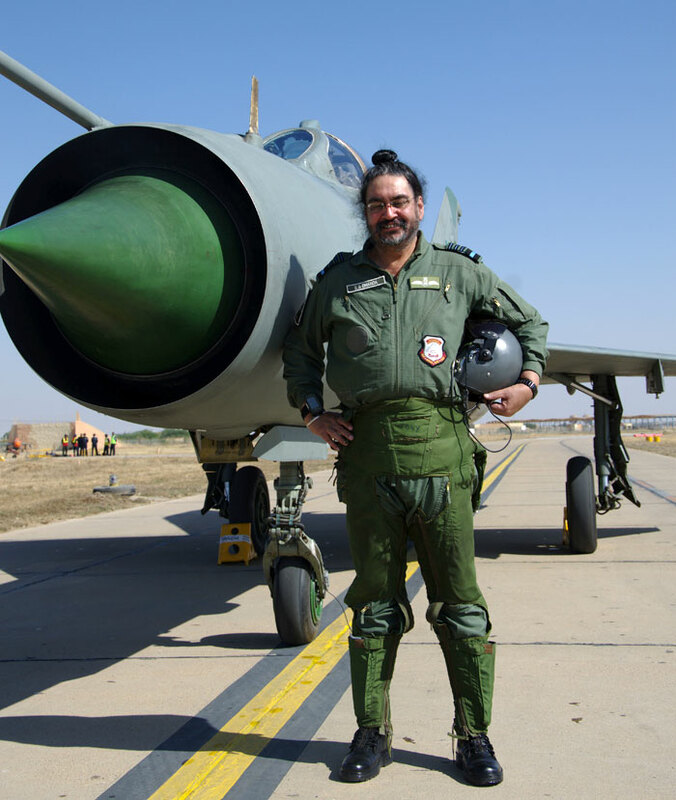 The IAF will aim to assimilate and absorb this technology and operationalise these platforms at the earliest,” he told SP Guide. Ahead of the March 25 Chinook induction, the IAF, in a series of Tweets, echoed its Chief. “Chinook can deliver heavy payloads to high altitudes & is eminently suited for operations in the high Himalayas. 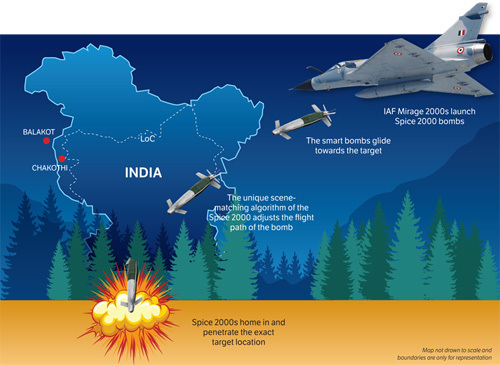 It will greatly enhance India’s capabilities across a range of military & HADR missions,” it stated. 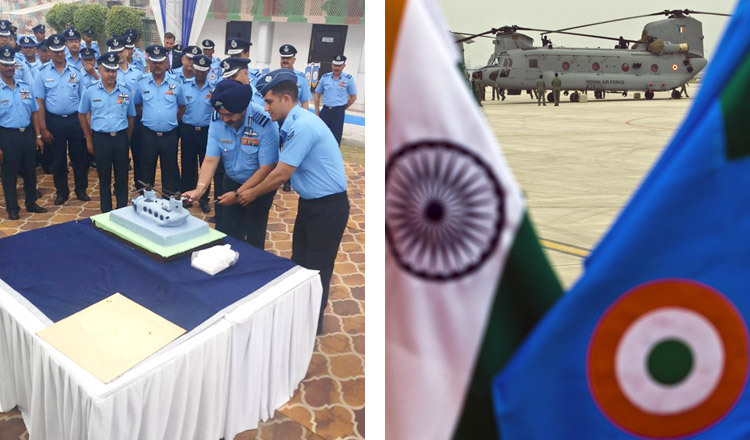 At the induction ceremony at Chandigarh, Chief Dhanoa termed the iconic helicopter as an asset to the IAF’s airlift capabilities. “This modern, multi-mission-capable, heavy-lift transport helicopter will enhance our heli-lift capability across all types of terrain to full effect,” he said. 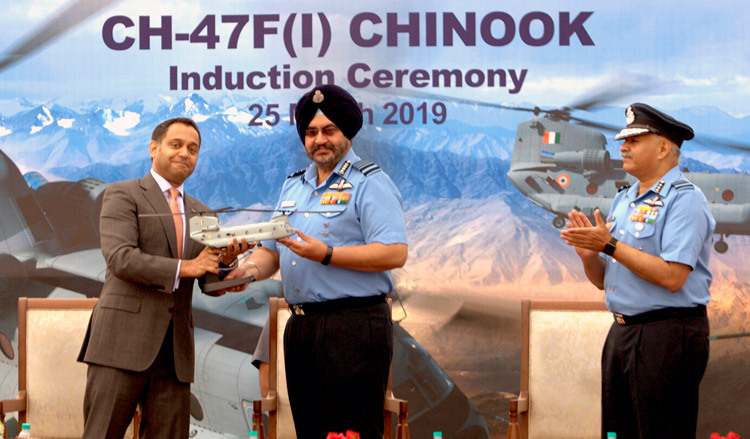 “With its advanced capabilities and versatility, we are confident that the CH-47F(I) Chinook will be an important asset to the Indian Air Force,” said Michael Koch, Vice President, India, Boeing Defense, Space & Security. 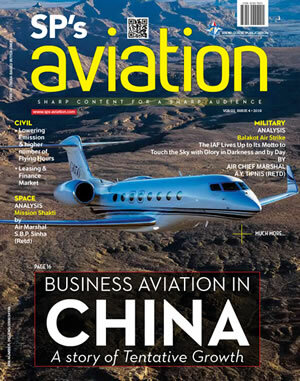 “Boeing remains committed to working closely with India to support the modernization of its armed forces and fulfil the country’s current and future security goals,” added Koch. The $3 billion contract for 22 Apaches and 15 Chinooks, which was signed in September 2015, provides for follow-on orders for 11 additional Apaches and 7 more Chinooks. A 30 per cent offset clause is built into the contract. The first flight of the Chinooks produced for the IAF took place in July 2018. The first Indian crew started training to fly and operate this aircraft in October 2018. The first lot of these helicopters were shipped to the Mundhra Port in Gujarat on February 19, 2019. The CH-47F Chinook is flown by the armed forces of 19 countries, including the US, Canada, the United Kingdom, Netherlands, Japan, Italy, Greece, Spain, South Korea, Australia and the United Arab Emirates. Over the last decade, India has placed orders worth over $10 billion with American companies for defence equipment, including the C-17 Globemaster heavy lifter, the C-130J ‘Super Hercules’ special missions aircraft and the P8I maritime surveillance aircraft.